JANUARY 26, 2019 - DURANGO, Colo. (AP) — An orphaned bear cub burned by a Colorado wildfire has been released back into the wild. This July 19, 2018, file photo provided by Colorado Parks and Wildlife shows an orphaned bear cub that was burned by a wildfire healing at a rehabilitation center in Del Norte, Colo. 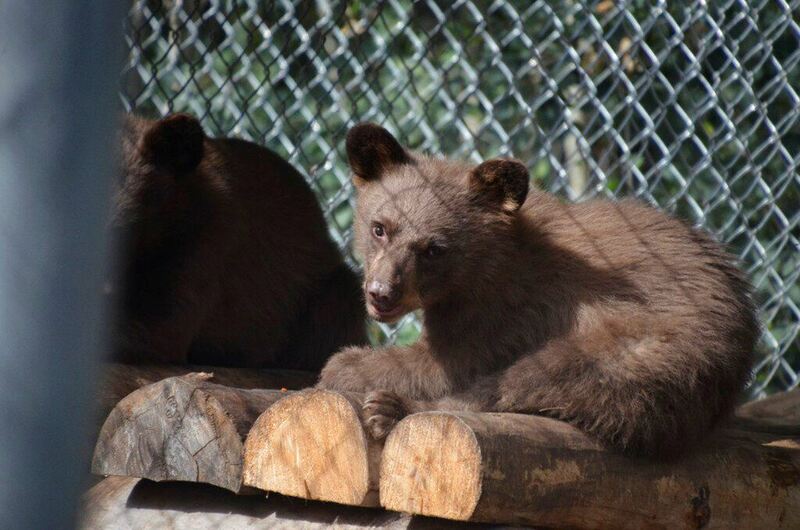 The orphaned bear cub burned by a Colorado wildfire has been released back into the wild. The Durango Herald reports that the cub was placed in the mountains west of Durango on Friday, Jan. 25, 2019, asleep inside a man-made den along with a second orphaned cub.Joe Lewandowski/Colorado Parks and Wildlife via AP, FileThe Durango Herald reports that the cub was placed in the mountains west of Durango on Friday, asleep inside a man-made den along with a second orphaned cub. Officials hope they will not wake up until spring when food is more available. In this June 27, 2018 file photo provided by Colorado Parks and Wildlife, a female bear cub lies on a table with bandages on her burned paws in Del Norte, Colo. The orphaned bear cub burned by a Colorado wildfire has been released back into the wild. The Durango Herald reports that the cub was placed in the mountains west of Durango on Friday, Jan. 25, 2019, asleep inside a man-made den along with a second orphaned cubJoe Lewandowski/ Colorado Parks and Wildlife via AP, FileThe injured cub's feet were severely burned in a wildfire that raged north of Durango last summer. 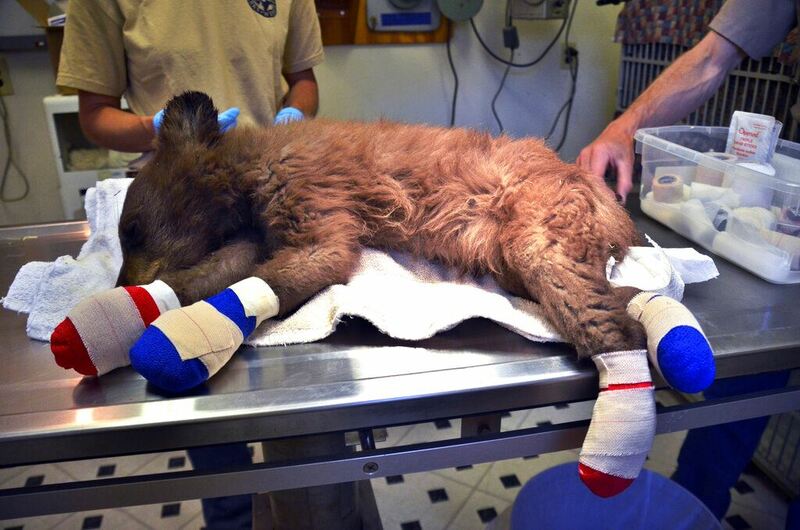 In this June 27, 2018 file photo provided by Colorado Parks and Wildlife, a female bear cub lies on a table with bandages on her burned paws in Del Norte, Colo. The orphaned bear cub burned by a Colorado wildfire has been released back into the wild. The Durango Herald reports that the cub was placed in the mountains west of Durango on Friday, Jan. 25, 2019, asleep inside a man-made den along with a second orphaned cubJoe Lewandowski/ Colorado Parks and Wildlife via AP, FileThe center limits human interaction, giving the cubs a better chance at survival when released.